It’s hard to believe it’s almost Valentine’s Day already, isn’t it? Even though Christmas is my biggest decorating holiday, I still like to have a few decorations here and there for other holidays like Valentine’s Day. 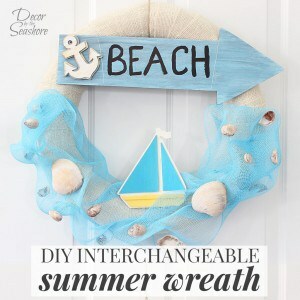 And one of the easiest ways to do that is to decorate the wreath on my front door! Hanging a festive wreath on your door is an easy way to add holiday cheer no matter what the holiday or occasion is. In need of some decor but don’t feel like decorating the whole house? Just add a wreath! Though I’m not huge into Valentine’s Day decorations, I will say that the thing I love most about them is the color they add to the home. This time of year, everything outside is gray and dull. Plants are hibernating, the ground is covered in dirty snow, and there’s just not much color to be seen. So enter Valentine’s Day with its vivid reds and pinks, and it just brightens everything up and adds so much color to the landscape. 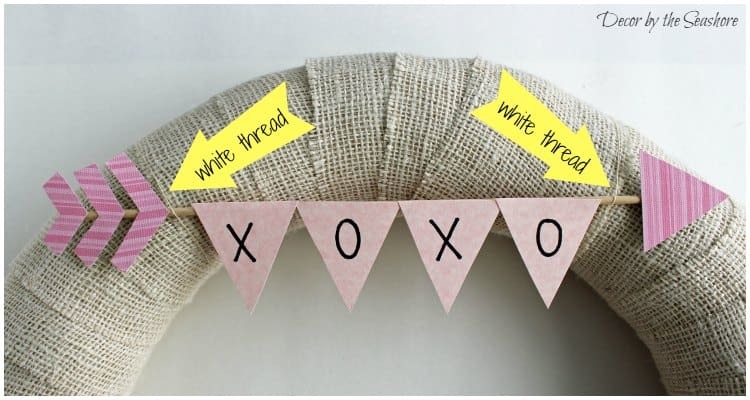 To make this DIY Valentine’s Day burlap wreath, I created a printable heart template that I’m sharing with you today. 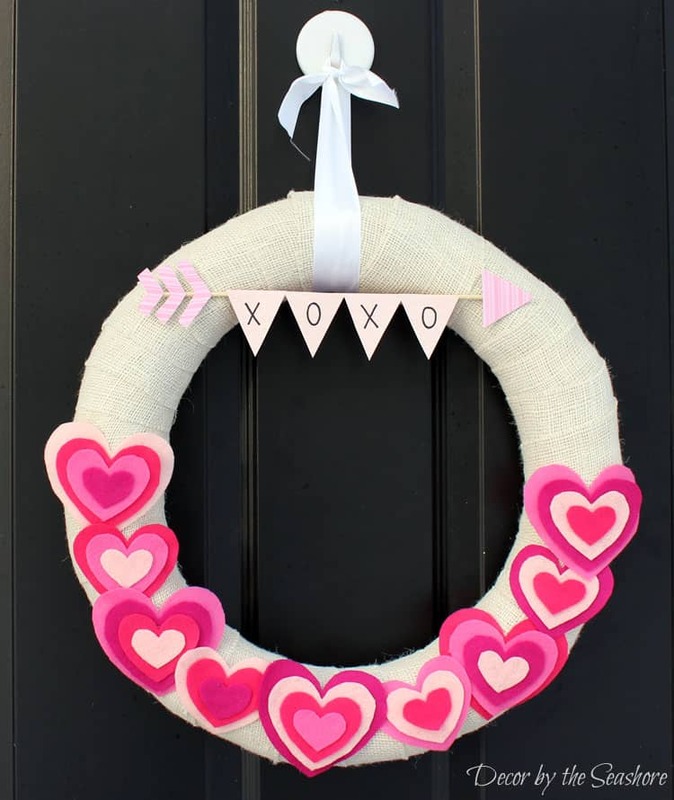 It has 4 different sized hearts (2 of each size) that you can use to make your wreath or whatever other Valentine’s Day crafts you’ve got in the works! 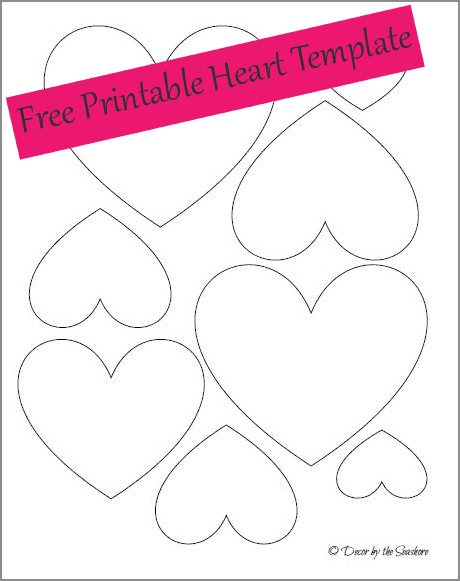 Download the free heart template below. 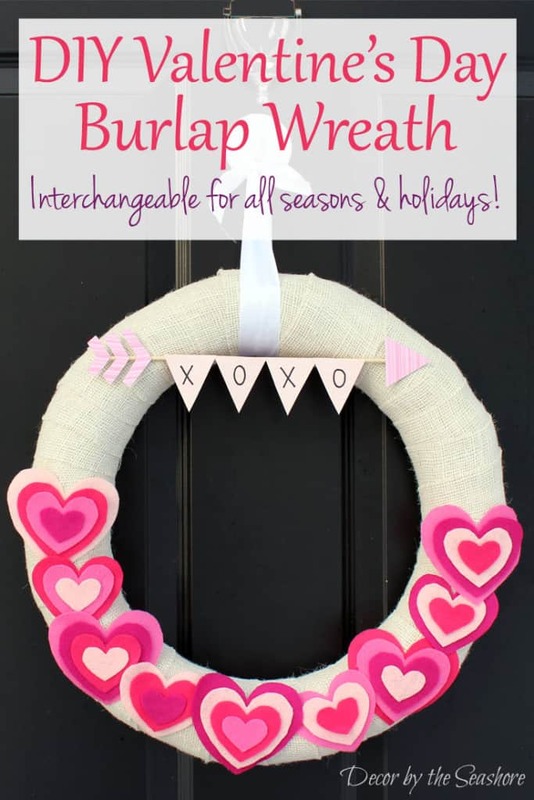 Though you’d never know it, this DIY Valentine’s Day burlap wreath is the exact same wreath I use all year long. It’s an interchangeable wreath, so I just swap out the accessories every holiday, and nobody has the slightest clue that I have the same wreath hanging on my door all year long. You can see some of the other versions below. 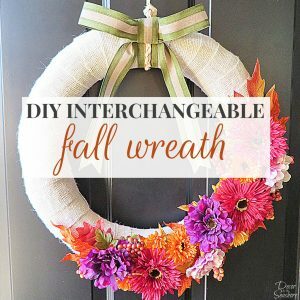 Interchangeable wreaths save a lot of money and storage space. I mean, just think how much space it would take to store a year’s worth of wreaths. Plus the amount of money you’d have to spend on each wreath form. This way the only thing you need to worry about is the little accessories you add to the wreath every season. 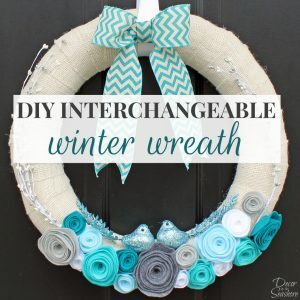 I am all about interchangeable decor! 1. If your wreath isn’t already wrapped with burlap, wrap it with your burlap ribbon or fabric cut into strips. (Check out my tutorial on how to cut burlap if you want to get nice, straight strips that won’t fray.) Glue the end of your burlap to the back of the wreath, and wrap the burlap around the wreath until the entire wreath is wrapped with burlap. 2. Use your heart template to cut out hearts from your felt. I cut out as many different sized hearts as I could from 4 different pieces of felt. I ended up having a few hearts leftover for other projects. Mix and match the different colored hearts and create as many varieties and sizes of layered hearts as you want. Then glue the layers together. 3. Make an arrow by cutting out an arrow head and tail from your scrapbook paper (or felt, if you so choose). 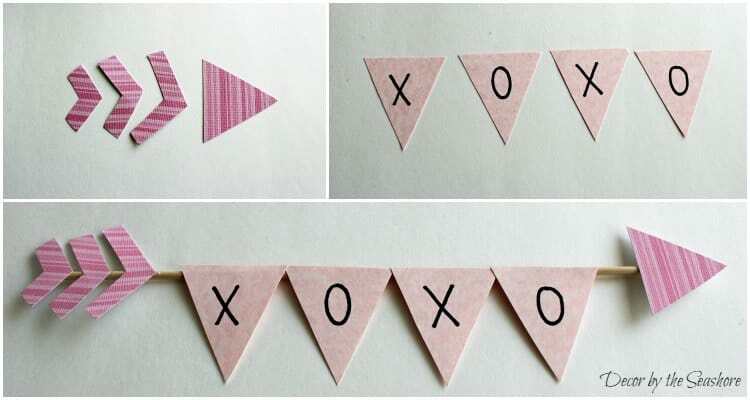 Create your banner by cutting out triangles from scrapbook paper and writing your message of choice on them. 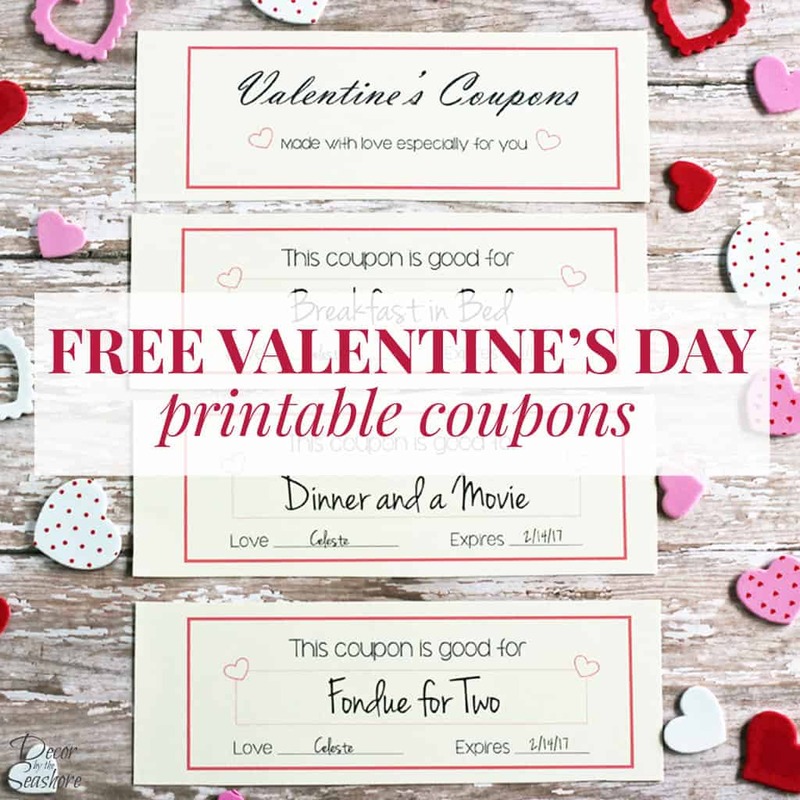 I went with “XOXO” but you could also write “LOVE” or any other cute Valentine’s Day message. Glue these pieces to the stick to make a cute arrow. 4. 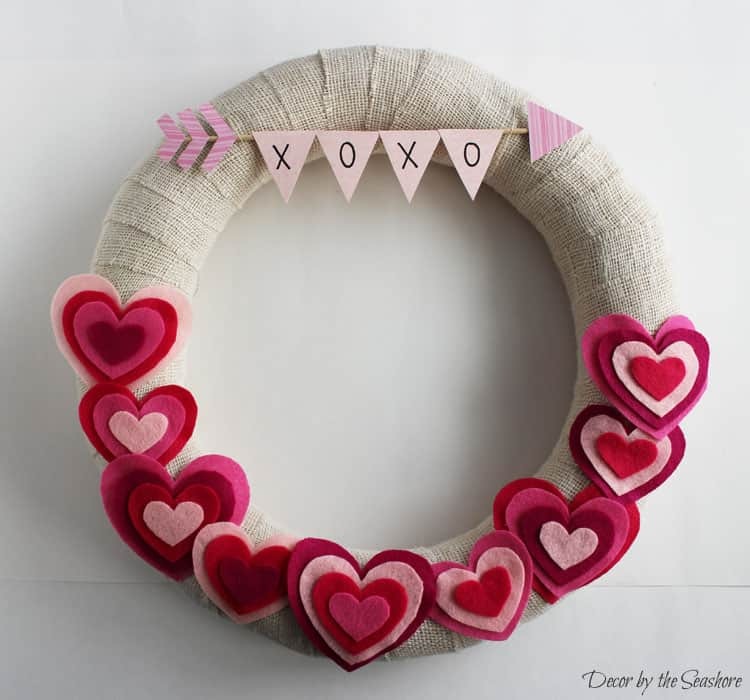 Arrange the hearts on the wreath until they look the way you want them to. 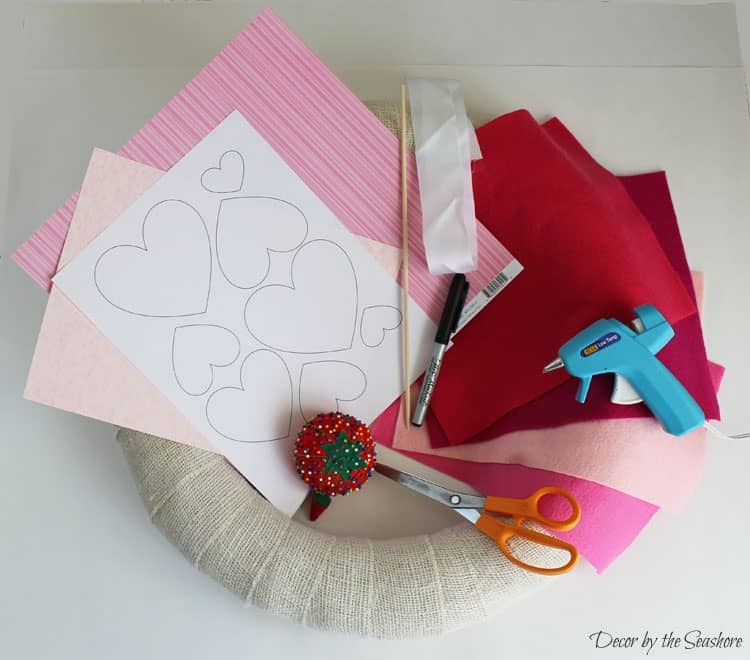 Then use pins to secure the hearts to the wreath. You can hide the pins under the heart layers and nobody will ever notice! 5. Add your arrow to the top of the wreath and secure it with thread. 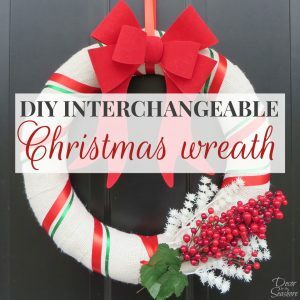 The thread matches the wreath, so you won’t even be able to see it once you’re done! 6. Loop your ribbon around the wreath and hang it up! I use these heavy duty magnetic hooks to hang my wreaths so there’s no damage to the door or weatherstripping. So, what do you think? It certainly is bright and cheery. I think I should have used a brighter color for the arrow head and tail to really make it pop, but other than that it looks pretty good. 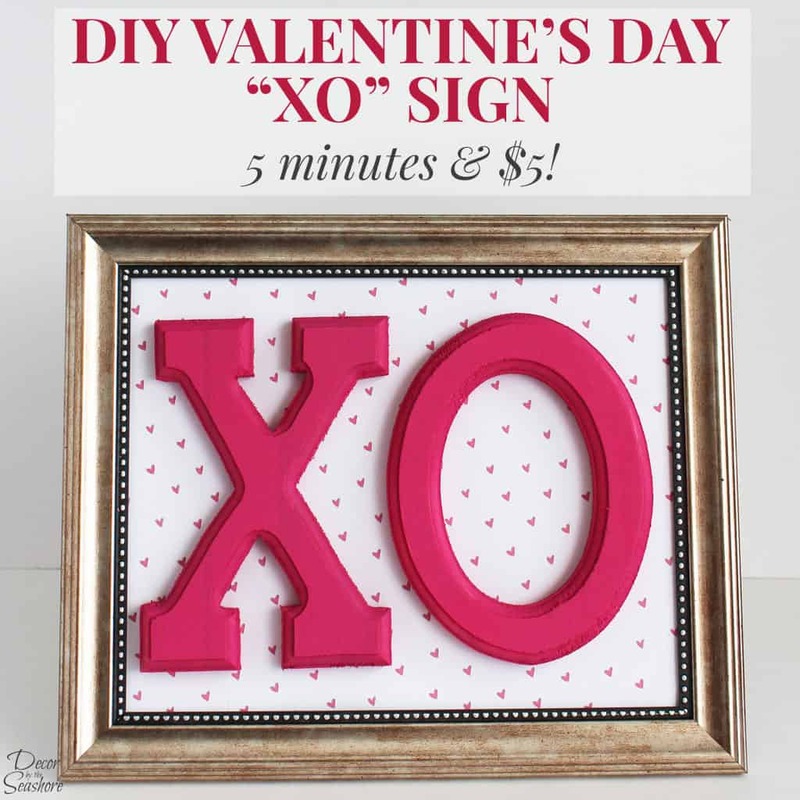 If you enjoyed this post, you’re going to love my other DIY Valentine’s Day decorations! 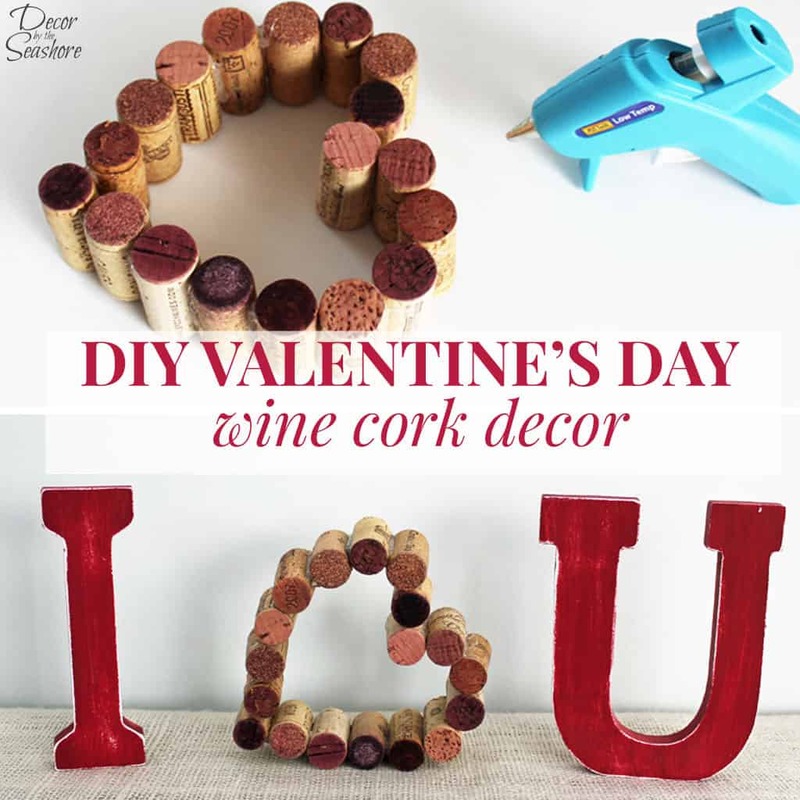 Click the pictures to check out these quick and easy Valentine’s Day tutorials! 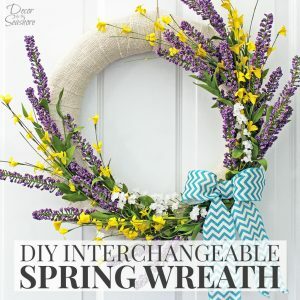 And if you love the idea of an interchangeable wreath, sign up for my newsletter below and you’ll get a weekly update with all of my latest craft tutorials and ideas right in your inbox! It is beautiful Celeste! All those bright festive colors really do all cheer and drown out the grey outside. I love the little arrow you pasted on top! Thanks, Mary! The colors really do help liven the place up a bit! 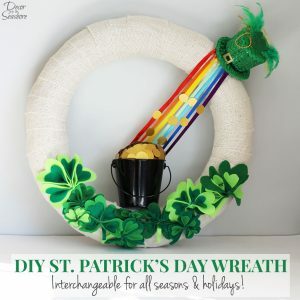 This is so lovely and how great it is interchangeable for different seasons/holidays! Thanks for sharing at Funtastic Friday. Thanks! I always enjoy making things that can be used multiple ways! This is so pretty Celeste! 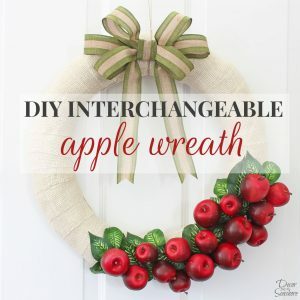 I love it, when you can use decor, like this wreath, all year around for each season & holiday! You did a great job, love the colours and love felt too! Thanks, Katrin! I am all about getting as many uses as possible from my decor! This is a great idea! Thanks for sharing. Stopping by from Link Party Palooza. Thanks, Anita! I always enjoy coming up with fun ways to reuse my decor! I love this! 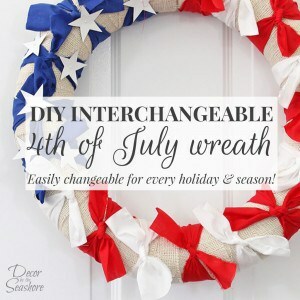 Such a cool idea to use the same wreath form year round. Is it easy to remove the decorations? Thanks, Cara! It’s really easy to take the decorations off. The pins pull right out, and you just cut the thread with scissors!